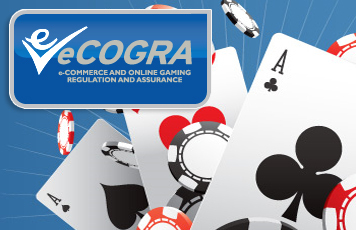 London, 10 February 2011 – The independent player protection and standards body eCOGRA has announced the award of two more Safe and Fair accreditation seals to online gambling sites, bringing to 150 the number of tier one operations that have successfully met eCOGRA’s international requirements. The latest seals were awarded to Red Flush Casino.eu and Casino La Vida.com by eCOGRA’s Independent Directors on January 25 following an extensive on-site inspection and audit process that examined every operational aspect and the financial systems in use. To ensure continued compliance, Red Flush and Casino La Vida will be consistently monitored through regular onsite reviews and eCOGRA’s Total Gaming Transaction Review regime, which involves analysing every live gambling transaction for software fairness. Red Flush Casino and Casino La Vida are part of the Club Red Gaming Group of casinos. Each of these gaming destinations currently hosts over 450 games powered by Microgaming software. eCOGRA chief executive officer Andrew Beveridge congratulated the new seal holders, noting the full cooperation that the eCOGRA auditing team had been given throughout an extensive process toward accreditation. “This achievement provides internet players at Red Flush and Casino La Vida with an added layer of assurance that the games are fair and the casinos are run on professional lines and to internationally recognised best practice standards,” he said.